Las Vegas personal injury attorney Scott Guido was born and raised in Buffalo, New York. He received his B.S. degree in Criminal Justice with honors from Rochester Institute of Technology in 1995. Mr. Guido then chose to return to his home town and attended S.U.N.Y. Buffalo School of Law, earning his J.D. degree in 1999. He is licensed to practice in all Nevada State Courts. 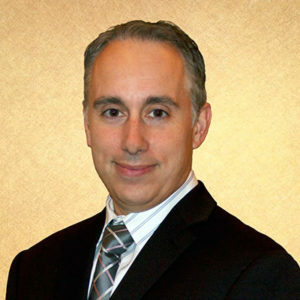 Mr Guido spent almost six years working in the automobile insurance claims industry and has extensive experience in all areas of the claims process including, property damage appraisal, claims coverage issues, and personal injury resolution. His experience in claims has allowed him to make a seamless transition into the personal injury arena. When he is not working, he enjoys spending time with his lovely wife and daughters. Looking to have Scott Guido represent you? Contact us today and find out what we can do for you. We offer free consults and also, we take no fee unless you win. So come into our office, hours from 8-5 p.m. or call us 24/7. Get the experience you deserve by your side. Don’t wait! Most important to note, we look forward to hearing from you.